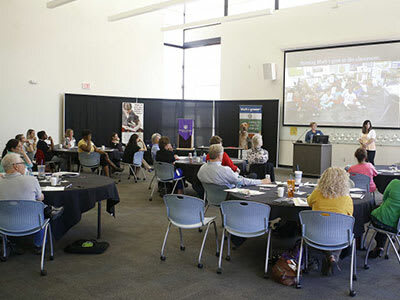 Grand Canyon University’s (GCU) Educational Alliances support the advancement of instruction and learning to prepare all student populations to succeed in the 21st century. We believe that strong education systems and outstanding educators, with the support of the community, can nurture student learning and ignite greater academic success. Our alliances are designed to bridge the gap between school and district needs and employee skills through higher education. Our corporate partnerships focus on improving workforce performance, with an emphasis on offering higher education and professional development opportunities. K12 Educational Development supports public, private and charter schools in addition to alternative educational establishments such as independent agencies and home schools. The demands of business are ever-changing and organizations need skilled professionals to provide innovative solutions. University development counselors at GCU work to establish relationships with a variety of employers, including schools and districts, government agencies, hospitals and community colleges, to improve workforce performance. Our degree programs encourage you to think critically, lead effectively and demonstrate best practices appropriately. In efforts to attract a diverse student population, we also offer workshops and resources to assist with the student enrollment process. University development counselors and campus representatives offer consultations and can discuss career and academic goals with your staff. Courses are offered in flexible formats - allowing a balance between home, college and work. Join GCU’s participants and give your employees access to an affordable, private Christian education. Participating employees not only gain confidence in their ability to excel in our rigorous programs, but they also come to appreciate the doors that open with an advanced degree. If you are interested in becoming an alliance participant, call us at 855-GCU-LOPE. Launched by GCU with the desire to support broader educational communities, K12 Educational Development offers services through participant programs for K-12 public district and charter schools, private schools, home schools and educational organizations across the country and throughout the world. Our no-cost, non-exclusive participant programs offer educational opportunities for all stakeholders in K-12 communities. We provide service and support in the form of scholarships, program discounts, interactive professional development, STEM events, high school dual enrollment and more. To learn more about becoming an alliance participant, call us at 855-GCU-LOPE. To build purposeful relationships that serve, support and inspire. GCU offers a variety of alliances to help your school get the most out of the partnership program. Learn about our different programs, including members who are currently participating in our alliances. As part of our support network for participant schools and organizations, we offer a variety of resources for students, educators and faculty. Learn about professional development opportunities, summer camps and more. 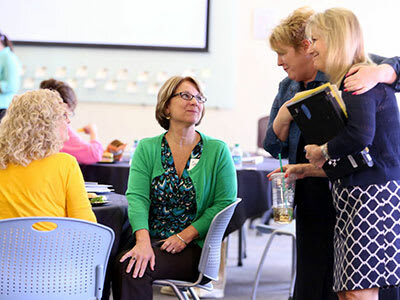 GCU's SEA provides luncheons and learning opportunities to K-12 professionals. Elementary school students stand up to the microphone at the GCU Core Technology event. 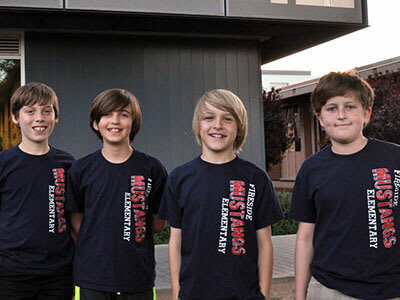 Students from Fireside Elementary pose for the camera during their visit to GCU. 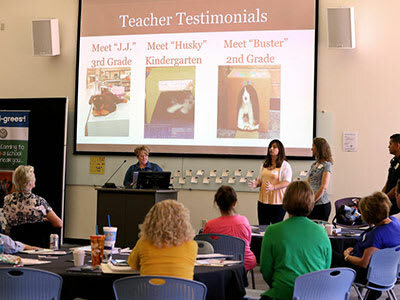 K-12 teachers share their experiences in helping their students achieve success. Learning from other professionals is a key part in creating community through SEA. We aim to provide participant schools, districts and organizations with high-quality resources that help drive student success. As the needs of our alliance members increase, so do our offerings. Be sure to check back for updates and new resources regularly. Available through the GCU library, the WestEd Educational Resource Collection and the Paul Houston Literary Collection provide GCU students with access to more than 1,000 papers, books and other resources. The AZ Superintendents Collaborative Network is co-sponsored by the Arizona Department of Education and the Arizona School Administrations Association. The goal of the program is to help new superintendents transition into their role within the school district. From educational speakers to volunteer initiatives and athletic events, there is always something new happening at GCU. Check out our calendar and make plans to attend the next fun event.